MOSCOW – Rising tensions between the United Kingdom and Russia are but further proof that Russia and the West, according to no less an authority than Richard N. Haass, President of the Council on Foreign Relations, have entered a “Cold War II”. I tend to disagree. Yes, Russia’s relations with the United States, and now also with the UK, are worse than in the 1950s, and the chance of a direct conflict is higher than at any time since the 1962 Cuban missile crisis. Given the complexity of today’s strategic nuclear weapons and the systems designed to neutralize them, one cannot rule out the possibility that some actor on either side, or a third party, could provoke escalation. Making matters worse, communication between US and Russian leaders is all but nonexistent, owing to the lack of trust on both sides. Among Americans, feelings toward Russia verge on something close to hatred, and many in Russia now regard Americans with ill-concealed disdain. This psychological backdrop to the bilateral relationship truly is worse than during the Cold War. But that does not mean that today’s tensions amount to a sequel. Such a confrontation would require an ideological component that is decidedly lacking on the Russian side. Russia has no intention of waging another Cold War. 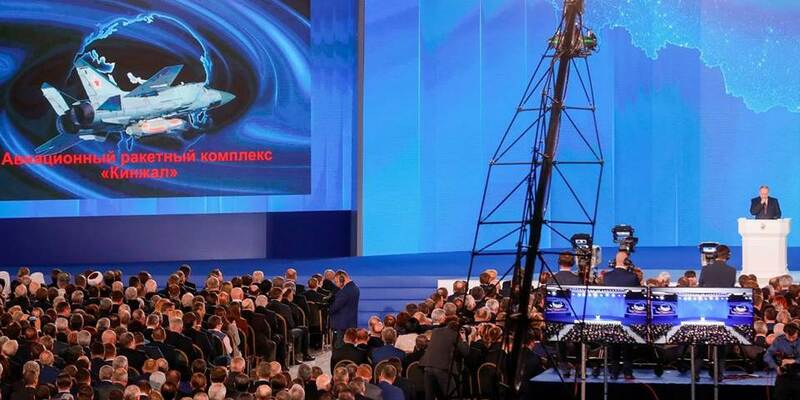 Although some degree of confrontation with the US does help President Vladimir Putin unite the public while burnishing Russian elites’ nationalist credentials, Russia is not an ideologically motivated state. What ideology it does have is based in Russian culture and civilization, which it is not interested in exporting. The Kremlin in fact prefers not to proselytize on Russia’s behalf. Russia’s approach to international affairs has long centered on respect for national interests and sovereignty, and the belief that all peoples and nations should have the freedom to make their own political, economic, and cultural choices. Russia also embraces universal human values such as trust in God, family, and country, as well as self-fulfillment through service to society and nation. I dream of the possibility that even 2% of the accusations concerning Russian “interference” in the 2016 US election prove true. It would bolster my self-esteem as a Russian, while educating Americans – whose government has long interfered in other countries’ internal affairs – about the dangers of throwing stones from a glass house. But the problem between Russia and the West is really a problem among Westerners themselves. The US establishment is using the scarecrow of Russian interference to regain its lost political control, particularly in the realm of social media, where a discontented population and maverick politicians have finally found a voice. But even if American elites do manage to wrest back control, the deeper source of Western angst will remain. For at least the past decade, the world has been witnessing the endgame of the West’s 500-year hegemony. It started in the sixteenth century, when Europe developed better guns and warships and began its imperial expansion. In the following centuries, Europeans would use their economic, cultural, political, and especially military dominance to siphon off the world’s wealth. For a few decades in the second half of the twentieth century, the West’s dominant position was challenged by the Soviet Union and China. But after the Soviet Union imploded, the US emerged as the sole hegemon, and the world seemed to return to its historic status quo. Soon enough, however, the US overextended itself by plunging into geopolitical misadventures like the invasion of Iraq. And then came the 2008 financial crisis, which exposed the weaknesses of twenty-first-century capitalism. At the same time, the US has long pursued military superiority. In 2002, it unilaterally abrogated the 1972 Anti-Ballistic Missile Treaty. And, more recently, it has embarked on a massive build-up of conventional forces and a large-scale modernization of its nuclear arsenal. Still, Russia, China, and the rest of the world won’t allow a return to US hegemony. Putin recently made this clear by unveiling a number of new, cutting-edge strategic weapons systems, as part of what I would call a strategy of “preemptive deterrence.” The message was that the US cannot hope to regain absolute military superiority, even if it decides to bleed itself dry in an arms race, as the Soviet Union did. Preliminary assessments that my colleagues and I recently carried outsuggest that even if the US decides to wage a unilateral Cold War, its chances against Russia, China, and other emerging powers would not be very good. The balance of military, political, economic, and moral power has simply shifted too far away from the West to be reversed. Nonetheless, a new Cold War, even if largely one-sided, would be extremely dangerous for humanity. The world’s major powers should concentrate on strengthening international strategic stability through dialogue; reopening channels of communications between militaries; and restoring civility to their interactions. We should also consider establishing more diplomatic, legislative, academic, and educational exchanges. Most of all, though, we must stop demonizing each other. The world is entering a dangerous period. But if we are wise, we can build a more balanced international system, one in which the major powers will deter one another while cooperating to solve global problems. Smaller countries, meanwhile, will be freer to develop according to their own political, cultural, and economic preferences. The previous, Western-led system has collapsed. To ensure a peaceful future, we need to start working together to build a new one. Perhaps because it reflexively takes us back to an unhappier time, there’s a strong sense of disquiet about the rising gap between the dollar Libor rate, at which banks borrow from one another, and the overnight indexed swap (OIS) rate, a gauge of the future Fed Funds. Having risen 35 basis points over the past six months, this spread, now at 50bp, is about to break through the highest levels recorded during the European peripheral scare of 2011. It has historically been viewed by investors and policymakers alike as a reliable indicator of the health of financial plumbing. But its widening today should not portend the dark spell of the past. To understand why, it is useful to decompose the Libor-OIS spread into three parts: the Treasury bill (T-bill)-OIS spread, the commercial paper (CP) to T-bill spread, and Libor to CP spread. At least two-thirds of the move in Libor-OIS has been driven by a widening in the T-bill-OIS spread. Dollar funding for banks is tightening, but not exceptionally so in the context of a rise in yields on government bills, widely considered the risk free rate of the world. T-bill yields have risen particularly sharply since early February, when the US Congress agreed on further fiscal spending. Supply is at play here, not rising credit risk. The remaining widening in Libor-OIS is explained by the widening in the CP-T-bill spread. Large corporations fund themselves in this CP market, and their funding became dearer to T-bill rates after US money market reform of 2016. This required the pricing of institutional money market funds investing in CP to move to floating Net Asset Value, shrinking the set of investors who held these instruments. As secured T-bill rates have risen since, unsecured CP rates have climbed with a modestly higher beta. This is a new reality of the market microstructure; again, not a credit issue. Finally, the spread between Libor rates and CP rates is, if anything, tighter than where it has been in previous Fed hiking cycles. In all, Libor is rising in tandem with T-bill and CP rates, not because financial institutions are becoming more wary of one another. Signs across different asset classes echo this message. Subordinated debt issued by subinvestment grade financial institutions trades close to its strongest level. US equities are up on the year, with financials outperforming. The premium for funding in dollars, as tracked by the cross-currency basis swaps, barely shows a tremor. US financial conditions remain in the loosest quartile of their distribution of the past 10 years. So, access to funding isn’t changing, the price of funding is. It isn’t the same thing. The price of funding is changing by design; the Fed is raising rates to keep the US economy from overheating. But, reduced access to funding, especially for able borrowers, would constitute tightening by accident, and must induce the Fed to stop dead in their tracks, and potentially to reverse course. We are very likely to find out at the Fed meeting on Wednesday that isn’t the case. Does the price of funding not matter at all, then? It most certainly does. It can fundamentally alter market trends. But instead of Libor-OIS widening, which is likely a red herring, we need to focus on the right channels to detect signals of a change in the investment opportunity set. First, watch the hit from yields to floating rate high yield credit and leveraged loans. We estimate floating rate loans to US borrowers at $2.2tn, nearly half of which have been extended to issuers rated below BB-. Our analysis shows that leveraged loan issuers will remain resilient to the next 75-100bp increase in Fed Funds rates, but could see their interest coverage ratios reaching dangerously low levels beyond that. Second, watch US growth surprises relative to those in the rest of the world. Widening front end rate interest rate differentials will become more meaningful for currency trends if mirrored in growth differentials. It’s worth paying particular attention to the relative economic cycles of US and China. The EM complex, particularly EM currencies, thus far in a Zen-like calm, may begin to show signs of fatigue if China growth softens against a backdrop of higher US rates. Risks become more elevated as we approach US Trade Representative Office’s report on intellectual property rights. Third, and perhaps most importantly, watch term premium in the US bond markets. Investors have been worried about the impact of higher rates, but US rates volatility itself hasn’t risen yet, and isn’t likely to unless term premium rises. A change here could mean a sell-off in the US bond hits other assets classes harder and quicker. Much as one must now prepare for the music stopping, it is important not to overreact when history rhymes for unrelated causes. It’s often said in jest that policy is fully equipped to fight the last crisis. Somehow that’s a reassuring thought today. China virtually halted exports of petroleum products, coal and other key materials to North Korea in the months leading to this week’s unprecedented summit between Kim Jong Un, the North Korean leader, and his Chinese counterpart Xi Jinping. The export freeze — revealed in official Chinese data and going much further than the limits stipulated under UN sanctions — shows the extent of Chinese pressure following the ramping up of Pyongyang’s nuclear testing programme. It also suggests that behind Mr Xi’s talk this week of a “profound revolutionary friendship” between the two nations, his government has been playing hard ball with its neighbour. “China has effectively turned off the petroleum taps flowing into North Korea,” said Alex Wolf, economist at Aberdeen Standard Investments and a former US diplomat in China. “From the data available . . . it appears that the North Korean economy is under a great deal of pressure and this has undoubtedly contributed to North Korea’s change in policy. Since its September test of a nuclear weapon, North Korea has launched a highly unusual series of diplomatic forays. Mr Kim’s sister, Kim Yo Jung, was dispatched to the Winter Olympics held in South Korea in February. Mr Kim then shocked many by inviting Donald Trump to a summit — an offer that the US president accepted. Following the visit to Beijing this week, North and South Korea announced a historic summit scheduled for later this month. Debate has swirled over the motivations behind North Korea’s shift in strategy. Some analysts believe that Pyongyang has achieved its nuclear and ballistic missile goals and now wants to negotiate recognition as a nuclear power. Others say that it is seeking detente with South Korea to weaken the US alliance structure. In the US, some attribute Mr Kim’s new approach to pressure from Mr Trump’s White House. But evidence of a partial Chinese export freeze adds a further perspective. Official Chinese statistics show that the monthly average of refined petroleum exports to North Korea in January and February was 175.2 tons, just 1.3 per cent of the monthly average of 13,552.6 tons shipped in the first half of 2017. The level of reduction went far beyond the 89 per cent cut in petroleum product exports stipulated by the UN sanctions. Chinese coal exports to North Korea were also cut to zero in the three months to the end of February, after running at a monthly average of 8,627 tons in the first half of 2017. Exports of steel ran at a monthly average of 257 tons in the first two months of this year, down from a monthly average of 15,110 tons in the first half of 2017. Shipments of motor vehicles also dried up, with just one unit being exported in the month of February, official Chinese statistics show. Concerns over the accuracy of China’s statistics are common, but analysts said that such consistent and bold drops in export volumes are unlikely to have been the result of official massaging. It is more likely, analysts said, that Beijing is seeking to remind Pyongyang of the economic leverage it wields over North Korea as Mr Kim prepares his diplomatic forays. A senior Chinese official, speaking anonymously before Mr Kim’s diplomatic flurry, said that Beijing wanted to bring Pyongyang to the negotiating table. It is important that the US and other countries realise that Pyongyang’s objective is not aggression but to win security guarantees for North Korea, the Chinese official said, adding that North Korea had in the past shown a willingness to negotiate but US inflexibility had precluded progress. Price Reflexivity - What's It Going To Take For People To Wake Up To The Potential Of Higher Oil Prices For Longer? - Market participants are still using lower for longer oil price scenario as a base case. - We explain why oil prices have to move to a level where the bull thesis can no longer be ignored. - Our view is that this will happen when WTI reaches $80/bbl, or our upside target for 2018. - The thinking is that Saudi, knowing full well the depressed sentiment, will shock the market in the second half of 2018 via lower exports. - This will put upward pressure on Brent, which would widen Brent-WTI spread and result in higher US crude exports. We are strong believers in the theory of reflexivity. In our opinion, George Soros’s theory of reflexivity is the most important behavior/economic/market theory ever created. The theory of reflexivity states that market participants do not act on the reality of fundamentals, but the perception of fundamentals. Price itself is the catalyst for positive or negative behaviors. Pain Capital, a contributor to HFI Research, wrote a piece on this titled, “Knowing When The Trend Is Your Friend, Lessons From Soros.” The write-up was about Soros’s observation on the dollar, and that the dollar was moving not based on fundamentals, but the perception of fundamentals. Another example that was given by Soros was on the savings and loan crisis in the 80s and how the perception of positive fundamentals fueled a higher price to book ratio for many SNLs, which fueled higher value accretion through share issuances, which fueled even higher share prices. As Soros explained, this is why markets go through boom-bust cycles and never according to the laws of supply and demand or any academic economic theories, and why the markets are never truly efficient. Taking the theory of reflexivity into heart, we can see how the oil price move from $26 to $60 hardly impacted investors' perception of the oil market fundamentals. This is true because in 2014, WTI was trading over $100/bbl, and we are only at $63/bbl today. In our view, this is where price reflexivity has to come in. If the theory of reflexivity holds, and if price itself is the catalyst to changing fundamentals rather than fundamentals, then we will need sharply higher oil prices to shake the markets out of the “lower for longer” paralysis. How high do oil prices have to go to shock the market out of its complacency? We think oil prices have to move to a level where no one can no longer ignore just how bullish fundamentals are. 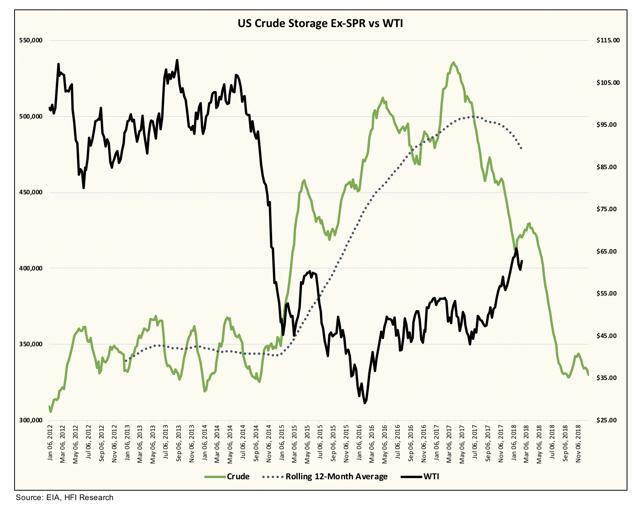 Our thinking is that it will be when WTI reaches above $80/bbl. Why is this perception change so important? The Barron’s energy roundtable piece really allowed us a glimpse into the minds of market participants. While we had hunches on why energy stocks weren’t moving higher, the roundtable solidified our key assumptions. Combining our variant perception take in section 1 of this WCTW and our theory of price reflexivity, we believe that Saudi will aim for a shortage in the second half of 2018. This also aligns with the comment Khalid al-Falih made recently that ROPEC should aim for an overtightening in the oil markets rather than scuttle the deal too early. How will we see the shortage develop? The second half of this year is when oil demand will be at its highest. IEA is still forecasting ~1.4 million b/d of oil demand growth in 2018, and despite a track record of perennially underestimating oil demand, the market continues to read and believe IEA’s analysis. This year will be the first year since the global financial crisis that we see global synchronized growth, and our view is that oil demand growth will be 1.9 million b/d with most of the increase coming in the second half of this year. If Saudi does intend to push the markets into a shortage territory, then we will see Saudi exports move even lower in the second-half of this year. Why? Because Saudi’s domestic demand will increase, which will put more pressure on exports. Saudi’s latest crude exports came in right around ~7 million b/d, and we have reasons to believe that this will fall to 6.3 to 6.5 million b/d. This decrease of 500k b/d to 700k b/d will put more upward pressure on Brent prices, which will translate into an even higher Brent–WTI spread. If this forecast turns out to be true, we think US crude exports for the second half of 2018 could average 1.8 million b/d. This sudden sentiment shift from “US shale will keep oil prices lower for longer” will turn into “we need all the US shale growth we can get.” Simultaneously, the second half of this year is when Permian producers will face issues with takeaway capacity, so we could see well completion growth stall and translate into slower month-over-month production growth. This will further heighten the market’s awareness that we could be headed for a “shortage”. Market participants remain complacent over the view that oil prices will stay “lower for longer”. The theory of reflexivity states that the price itself can be the catalyst that changes the perception of fundamentals. In the case of the oil markets, we think oil prices will need to climb above $80/bbl to start making analysts and investors question whether the thesis of “lower for longer” holds any ground. We believe the underperformance in energy stocks perfectly illustrate the prevailing sentiment bias, and as our section 1 of this report states, most energy investors remain agnostic to oil prices, and all one needs today is a view on oil prices to outperform. Combining this observation with Saudi’s incentive for a $2 trillion valuation in Aramco, we believe that Saudi will use the excuse of higher domestic oil demand in the second half of 2018 to lower crude exports even more to prompt a shortage in the oil markets. This will then be reflected via higher Brent – WTI spread, which will boost US crude exports higher. 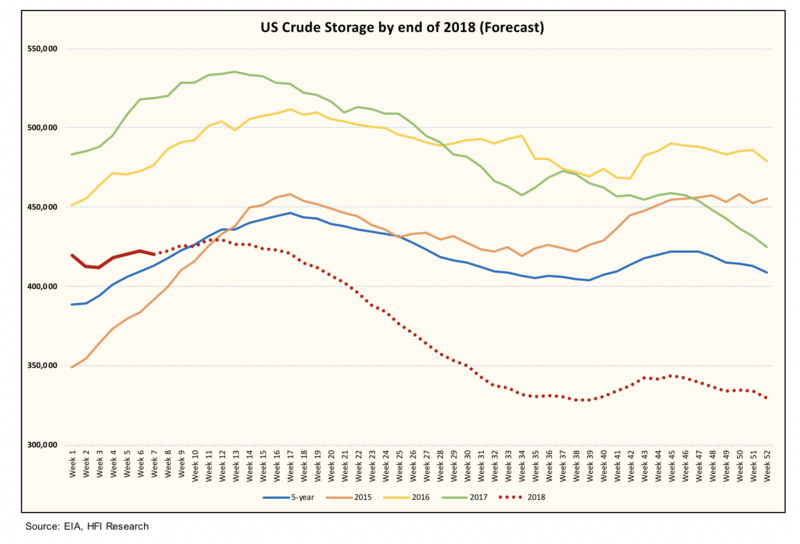 In our scenario, if US crude exports average 1.8 million b/d for the second half of 2018, US crude storage will end at the same level as it was in 2014, or when WTI was over $100/bbl. Is this extreme scenario, what’s needed for the crowd to start believing in “higher for longer” rather than “lower for longer”? We think so, and the theory of reflexivity works both ways. If a shortage is what we need, then a shortage is what we will get. Even the most common cars offer the luxury of transportation, providing reliable and quick travel, assuming traffic cooperates. But while many brands will also get you to your destination in luxury, few will glide you there as if you were the queen. Most people will never ride in a Rolls-Royce or Bentley, the English brands long associated with royalty and extreme wealth, or actually ever see one. But on the floor of the Geneva International Motor Show, the brands will be showing the public what all the fuss is about. The fuss begins as soon as you sit down in one of these cars. The scent of wood, the lamb’s wool carpet and supple leather fills the interior. Doors shut smoothly, powered of course. Foam filled tires ban noise, as do hundreds of pounds of acoustical material built into the cars. Rolls-Royce wheel hubs always display the RR logo upright, even in motion. If you find yourself in drizzly London or Seattle, look for the umbrella slot in the door frame when exiting. You’re welcome. Moving from a Chevy to any of the well-known luxury brands such as Audi, BMW, Cadillac, Lexus and Mercedes is a big step up, but the purchasing process is the same. The Gallery allows three-dimensional artworks of various materials to be installed behind it a piece of glass. You’ll choose from a dozen or so paint colors, perhaps four interior treatments and a smattering of option packages. The jump from the luxury level to ultrapremium is a huge financial and emotional leap, filled with decisions. Think building a house with an architect. In this strata, the old chestnut “what money really buys is choice” could not be truer. In Geneva, the brands plan some surprises. 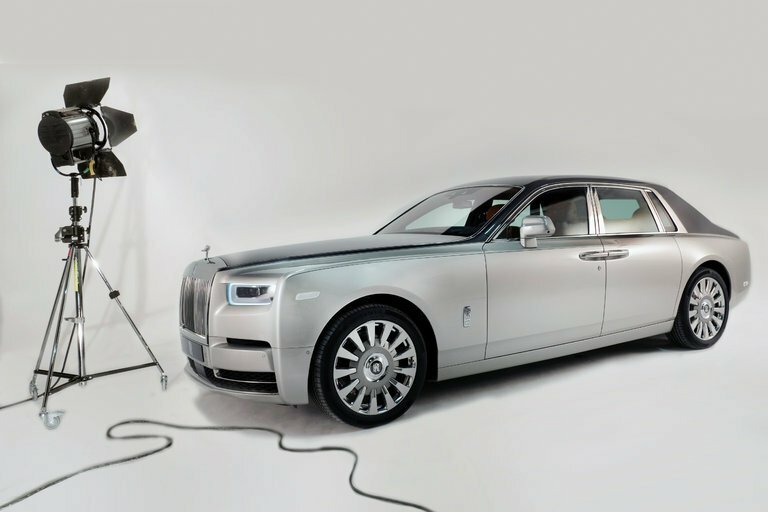 Rolls will be unveiling a feature that will allow owners to display art in their dashboard, and on the floor will be three different Phantoms. Bentley will be revealing the plug-in Bentayga Hybrid S.U.V. Also on the floor will be a Bentayga V8, Continental GT and the Flying Spur by Mulliner. The average Bentley sells for $250,000, a Rolls-Royce $375,000. Rolls, which is owned by BMW, offers about 60 leather options and about 30 variations of wood. Ponder over 64 standard paints choices and several dozen custom hues. In total, a library of 44,000 colors are available. Still on the fence? Shades can be customized. “Some clients are very decisive when choosing the paint and interior, others can take months,” said Mark Maakestad of Bellevue Bentley-Lamborghini-Rolls-Royce in Washington State. It is possible to Lyft to a Rolls showroom and drive off in a Wraith that’s in stock, but customization is what uber luxury is about. 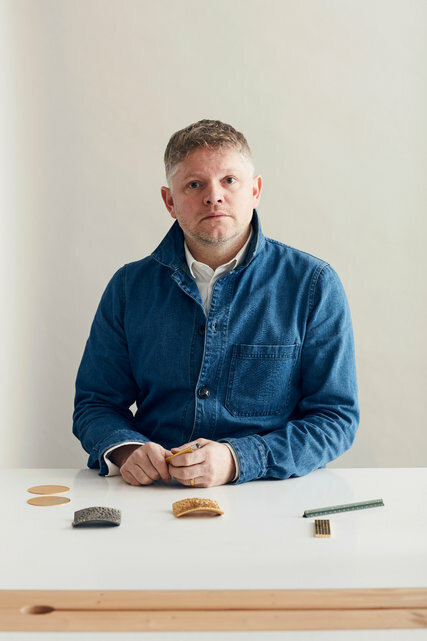 Thorsten Franck, a product designer for Rolls-Royce, who has done work on the Gallery. The sky’s the limit. Literally. 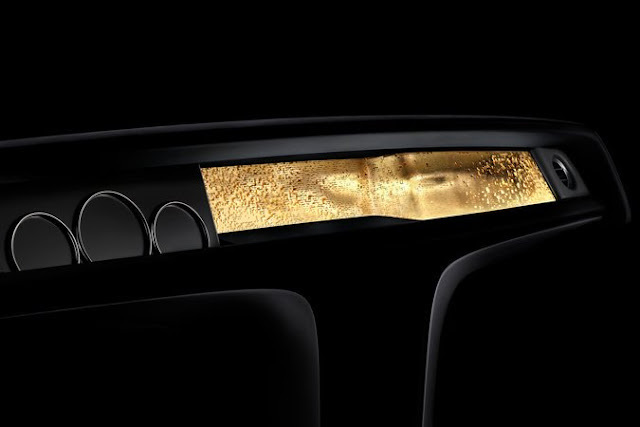 Starlight headliners that recreate the night’s sky with pinpoint lights in the ceiling are standard in a Rolls-Royce Phantom and optional in most others. Astrology buffs can even customize it with the exact mapping of the heavens on the day and place where they were born. The new 2018 Phantom VIII is the first car built on what Rolls-Royce calls its new Architecture of Luxury, a high-strength aluminum chassis. This twin-turbocharged V12 leviathan has a starting price of about $450,000. Phantoms are strictly bespoke, or custom made. No two will be the same, unless a customer orders copies. Motorists tend to be happy with real wood trim and stitching on the instrument panel. Phantom VIII owners will soon have the pleasure of gazing upon the Gallery, the new dashboard feature being unveiled in Geneva. It’s a glass panel that arcs fully across the dash, behind which owners can have commissioned art placed. Have a small Picasso you cannot travel without? This is your ride. Imagine the delight of kindergartners to find their artwork immortalized in Mom’s Phantom instead of the refrigerator. Rolls will connect clients to artists working in ceramics or oil paint if they lack classic art, or children. Gerry Spahn of Rolls-Royce says a few cars wander into the seven figures when a client’s demands turn exotic. It might mean custom sheet metal. “Each of our cars is unique with 80 percent of them bespoke historically,” he said. “We had an Asian buyer who wanted 464 diamonds lacquered into the wood interior trim. Silver or gold specks can be embedded in the paint. We had a client specify diamond dust in the paint. 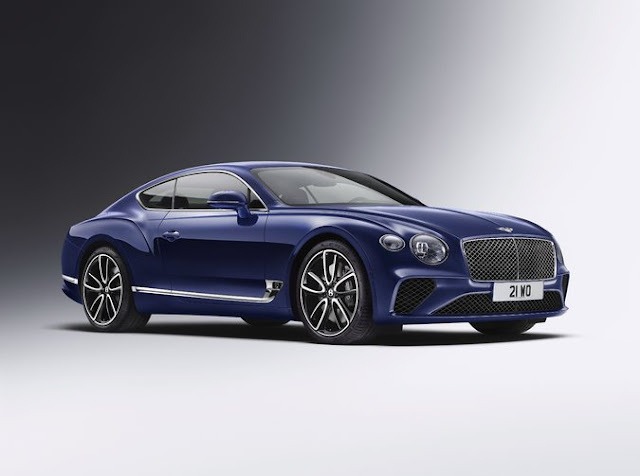 The Continental GT will be on the floor of the Geneva motor show. Rolls engineers took two months figuring out the process of keeping the finish smooth. Matching the paint to a husband’s wedding cummerbund or wife’s signature lipstick is possible. In the Britain, Bentley said that a buyer cut off the salesman’s tie for use as a color swatch, saying it was his perfect exterior color. Interior stitching can be specified to color, length and width. If a buyer’s favorite tree is felled by lightning, its veneer can be installed to keep its memory alive. Safety and government regulations can also hinder customization. Mr. Kuhlman said an Asian customer requested a glass dashboard enclosure to display his finest whisky. This was rejected because the airbag could have launched the spirits into the front passenger. These two classic brands have evolved to cater to modern clients. When it arrived in 2003, Bentley’s Continental GT attracted more women and reframed the Volkswagen-owned company toward younger millionaires. Its Bentayga recently filled the brand’s need for a sport utility vehicle. Rolls-Royce will soon begin private showings of the Cullinan S.U.V. that rides on the same Architecture of Luxury as the Phantom VIII. Stuart Robinson, a semiretired real estate investor of Snohomish, Wash., said that he and his wife, Jane, fell for a 2017 Rolls-Royce Wraith Black Badge with its striking rear-hinge doors. NEW HAVEN – The removal from the Chinese constitution of the provision limiting presidents to two five-year terms came as a shock to many. For China, the institutionalization of leadership succession was one of Deng Xiaoping’s most important legacies, signaling an end to the wrenching instability of the chaotic leadership cult of Mao Zedong. For the West, the term limit was an ideological bridge that led to a path of engagement. Could its abolition be the tipping point for an already precarious Sino-American relationship? Start with China and what the move means for its future. To figure out what will change under a different framework for leadership succession, it is important to cut through the authorities’ opaque rhetoric – the “moderately well-off society” transitioning into the “new era” – and stress-test their basic development strategy. While anything is possible, and there is always a risk of mistakes, my bet is that China stays its current course. Succession or not, there can be no turning back from a transition that has brought a large, poor developing country to the brink of prosperity as a modern, high-income economy. Initially, China’s leadership – responding to former Premier Wen Jiabao’s surprising 2007 critique of a Chinese economy that had become increasingly “unstable, unbalanced, uncoordinated, and unsustainable” – made its case from an analytical perspective. Last October, in a speech to the 19th Party Congress, President Xi Jinping made the same point from an ideological perspective, reframing the so-called Marxian principal contradiction around the pitfalls of “unbalanced and inadequate” development. Significantly, these two perspectives – analytical and ideological – take China to the same destination: a prosperous economy and society with a thriving middle class. To get there, China must go through a transformative rebalancing, from manufacturing to services, from export dependence to domestic consumption, from state-owned to private, and from rural to urban. By now, all of this is well understood. The current debate in China is less about strategy design and more about implementation. This, in fact, was Xi’s highest priority on assuming office in late 2012, and it formed the rationale behind an unprecedented anti-corruption campaign aimed at dislodging deeply entrenched power blocs that have stymied the transition. But now, five years later, the Chinese leadership is poised to tackle the next phase of the implementation challenge. There is a palpable sense of urgency to this task. Behind the public façade of a confident leader, Xi has owned up to the possibility of failure. From an analytical perspective, this has been expressed in terms of a Japanese-like stagnation if China mismanages its economy. From an ideological perspective, an endgame of chaos and revolution looms if the “principal contradiction” is not resolved. These views do not come out of thin air. Liu, a master tactician, seems to be underscoring the link between leadership power and the pace of reforms. The perceived need for greater leadership power – reflected in the elimination of the presidential term limit – has become a key element of the authorities’ implementation efforts. Consistent with Xi’s early instincts, this may well be the only way for China to avoid the “blind alley” of which Deng warned in 1992. Yes, viewed from the perspective of liberal democracies, China’s constitutional revision is a disappointing governance setback. From China’s perspective, however, it may well be the only option to address its daunting implementation imperatives head-on. And the recent experience of other countries, particularly the United States, certainly cautions against the Western tendency to conflate succession and leadership quality. America’s leadership deficit is, in fact, pushing the US and China to the brink of a trade war. The plight of the US middle class has been framed as a blame game, with China and its alleged unfair trading practices singled out as the culprit. Yet the evidence points elsewhere: to a dramatic shortfall of domestic saving that leaves America dependent on surplus saving from abroad to fill the gap. The result is a multilateral trade deficit, with China and 101 other countries, required to provide the foreign capital needed for the balance of payments. In other words, China is actually an important part of America’s “solution” to its saving-short growth problem. Yet US leaders find it expedient to make China a scapegoat. And the situation is going from bad to worse. The large tax cut enacted at the end of 2017 will expand the US federal budget deficit by $1.5 trillion over the next decade, pushing domestic saving even lower – an outcome that will lead to even wider trade deficits. As if that’s not bad enough, a protectionist Trump administration has elevated anti-China tariffs to a central role in its international policy agenda. Yet protectionism in the face of widening trade deficits spells nothing but trouble for frothy financial markets and a saving-short US economy. And it risks the most serious rupture in the Sino-American relationship since 1989. No one knows how long Xi will remain in office. If China stays the course, the succession question is inconsequential – at least for the time being. If China slips, the verdict will be very different. While the US has a very different political feedback loop, accountability also matters. In the end, the quality of leadership is what matters most for both countries. Sadly, those living in glass houses always find it easiest to throw stones. Economists are taught trade wars are almost always damaging. The question for investors is: how damaging? President Donald Trump’s threatened escalation of trade tariffs has moved to the centre of investor concerns. So far, the levies announced on steel and aluminium imports affect sectors so small that they will have almost no macro effect on US inflation, growth or employment. However, they could represent the thin edge of a very large wedge. The focus now shifts to the Article 301 investigation into China’s practices in technology transfer and intellectual property. The White House is likely to take action on that soon. With hawks like Peter Navarro and Wilbur Ross in the ascendancy, and modifying influences fading after Gary Cohn’s resignation as chief economic adviser, the president may soon follow his instincts and announce tariffs on imports from China. Although Navarro and Ross see tariffs as a means of forcing Beijing to abandon unfair distortionary practices, they could just as easily result in retaliatory trade controls, and even a global trade war. That may seem improbable, but hostile rhetoric is building, and such an outcome can no longer be ignored. This week, I will discuss the analytics of trade tariffs, and their macroeconomic impact on the country that imposes them. Next week, I will turn to the global effects of a full-scale trade war. The bottom line: a global trade war, though still unlikely, would administer a negative shock to world GDP of perhaps 1-3 percentage points in the next few years. Although investors might see this as a manageable hit to growth, there is a downside to the distribution that could turn out to be much worse. Economists are taught early on that trade wars are always damaging. Memories of the Smoot-Hawley Act in 1930 loom large. But what are the mechanisms involved? When tariffs are imposed, the increase in the costs of cross-border trade obviously reduces global imports and exports, relative to output. This is what drives the welfare gains and losses in the longer term. On this, there are some centuries-old results from international trade theory (see the leading textbook by Paul Krugman et al). In these partial equilibrium trade models, almost no one disputes that the decline in trade flows will reduce the scope for the law of comparative advantage to work, and for technology to flow easily across borders. The reduction in these gains will hurt productivity and damage global welfare. However, if a large country imposes a steel tariff, that might force Chinese producers to absorb part of the losses by cutting their prices to maintain a foothold in the American market. In turn, the US might improve its terms of trade, and even see an overall welfare gain as the price of its steel imports declines. This favourable net outcome for the US is generally thought unlikely. Furthermore, smaller countries cannot achieve such offsetting gains, because they have to accept the global price. Their welfare is therefore unambiguously decreased. Further cases that may justify tariffs are the protection of infant industries, and the correction of market distortions (eg export subsidies) imposed by other governments. However, most economists think it is better to attack these distortions head on, rather than indirectly through “offsetting” import tariffs. Moving into macro-economics, many variables can change in response to tariffs, including the exchange rate, inflation, monetary policy and unemployment. This becomes much more complicated. In old-fashioned Keynesian models (with fixed prices and exchange rates), a tariff is viewed as an expenditure-switching intervention, not necessarily an expenditure-reducing one. US tariffs on steel imports could cause an increase in domestic production as foreign products are priced out of the American market. As a gross over-simplification, expenditure is, in the first instance, switched from China to the US, leaving global steel production unchanged. Mr Trump seems to believe all this. But the effects on aggregate demand are complex. When the US imposes its tariff, China at first loses net income. In the US, steel producers might gain from greater output, but consumers, both households and other companies, lose. The government gains from tariff revenues, though these are probably distributed across the economy. The initial effects on aggregate demand therefore depend on how all these gains and losses are translated into expenditure. Such redistributions are similar to the effects of an oil price increase that shifts income away from consumers and towards producers. If the losers cut demand immediately, while the winners spend their gains more slowly, global demand and output will fall in the short term. But none of this is obvious without much more empirical work. In his classic 1960s work, Robert Mundell argued that, in a world of flexible exchange rates, a new US import tariff will tend to improve the country’s trade balance, which will increase the dollar’s real exchange rate. This real exchange rate rise dominates the effect on the American economy, producing an overall decline in US output and employment, despite the (smaller) gains from the tariff’s expenditure-switching effect. This remains the standard result. 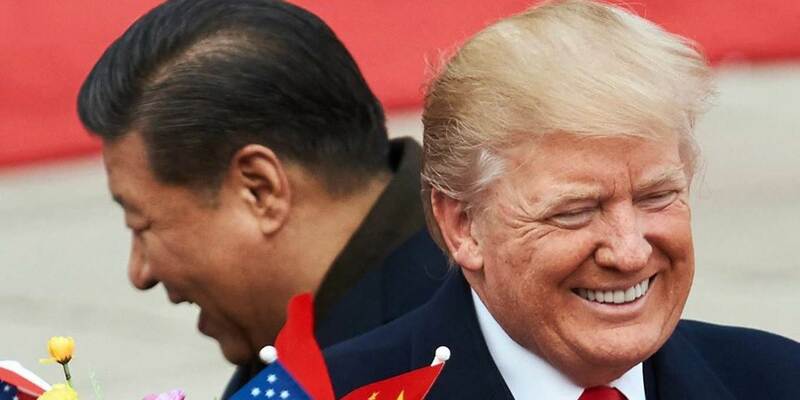 Maurice Obstfeld, the International Monetary Fund’s chief economist, wrote in 2016 that a 20 per cent US tariff on imports from East Asia, would (without retaliation) raise the dollar by 5 per cent, and cut US output by 0.6 per cent over five years. In these models, Mr Trump’s trade agenda could back-fire on the US economy. Furthermore, all these results would be worse if we allow for temporary effects of tariffs on global supply chains, which could disrupt production, and the damage to confidence from uncertainty about trade policy. These effects skew the possible outcome markedly towards the downside. And there is the danger of retaliation from trading partners. Next time, I will try to quantify these serious global threats. What a difference an election can make. A few weeks before German federal elections last September, German Chancellor Angela Merkel threw down the gauntlet and accused the Polish government of undermining the foundations of the European Union with its controversial constitutional reforms. On March 19, a much weakened and far friendlier Merkel traveled to Warsaw to meet with the Polish prime minister and president in an attempt to woo Poland’s support for Franco-German efforts to reform that very same European Union. The foundations of the EU are still the topic of conversation, but the particulars are not about what Poland is doing to undermine them but about how crucial Poland is to their defense. Merkel’s trip to Poland – her first foreign trip since being confirmed as chancellor for a fourth consecutive term on March 14 – was not done without careful planning. Merkel was preceded by her new foreign minister, Heiko Maas, who made a revealing statement at a news conference following a meeting with his Polish counterpart: “Despite divergent points of view on various issues, Poland and Germany are irreplaceable neighbors, friends, and important partners.” When Merkel castigated Poland’s government back in September, she used many of those same words, but her tone was unambiguously critical. During Maas’ visit, however, the foreign minister was downright solicitous. It’s not the words you use but the way you use them that makes all the difference. The shift in tone is indicative of a change in Germany’s position toward Poland. Merkel did not emerge from elections unscathed, but she emerged nonetheless, and now that she has, she must throw the full weight of her limited powers into halting the EU’s slow decline into irrelevance. No country is more dependent on the EU than Germany, and the EU is in trouble. The U.K. is leaving. France would like to rewind history and go back to when it dominated the EU. Italy is a circus. Eastern Europe has defied the EU and is no worse for wear – in fact, it does not have the migrant integration issues the more generous Germans are facing. And now a chorus of anti-EU voices – represented by the nationalist Alternative for Germany, or AfD – is rising in Germany itself, arguing that perhaps Berlin would be better off cashing in on its massive trade surplus and going it alone. Merkel has one thing going for her. The European economy has defied the odds and continued to improve, with better-than-expected growth figures across the bloc. Growth has been higher in Eastern Europe, but even in Germany it has exceeded government estimates (and our own forecasts). This is not to say that the European economy is healthy. Inequality is increasing. Quantitative easing continues. From across the Atlantic, the winds of a trade war are blowing, and from across Eurasia, cheap Chinese goods and piles of Chinese money are readily available. But right now, the situation is stable, and if the EU is to make a change, now is the time. Once a crisis comes, it is usually too late to fix it. Germany’s missteps with Greece’s 2009 sovereign debt crisis and the migrant issue have damaged its credibility in the EU, but Germany remains powerful. It is, after all, the economic behemoth upon which the EU’s prosperity (and peace) has been built. Germany’s dependence on exports is its Achilles’ heel, but Germany depends on exports only because it has profited from them so greatly. And much of Europe has shared in those profits. The supply chain for German goods is inextricable from the economies of Eastern European countries, which means, for now, the economic fate of Eastern Europe remains tied to Germany’s own fate. As for the rest of Europe, it is easy to forget that Greece was not the only country to gorge itself on debt to buy new-fangled German goods; it was just the worst offender, and also the European country weak enough to be used as Germany’s scapegoat. The problem facing Merkel is that Germany cannot transform the EU alone, and her list of allies has grown thin. As long as Emmanuel Macron governs France, Merkel has a willing partner in Paris, but much of Macron’s domestic support came from protest votes against a national pariah, not from genuine pro-EU sentiment in France. The realities of politics are already descending upon Macron, whose domestic support is declining. And to the east, Germany has not only failed to find a willing partner – it has pushed its would-be partners away for fear of diluting German power inside the EU’s vast and laborious bureaucracy. Originally a grouping of the foreign ministers of Germany, France and Poland founded after the collapse of the Soviet Union, Germany is now touting the Weimar Triangle as a salve for the EU’s bitter problems. The grouping has not met since 2015, when Poland’s current government came to power, but not because Poland wasn’t interested: Poland has previously raised the possibility of meeting with Germany and France in the Weimar format. Now it appears Germany is willing to let bygones be bygones and assemble the group once more. Germany’s foreign minister made explicit mention of the Weimar Triangle during his visit to Poland, identifying its resurrection as integral to fixing Europe’s problems. In other words, Germany needs Poland’s help, if it isn’t already too late. It remains to be seen whether this is just talk, or whether Germany is prepared to compromise. Poland is not staunchly anti-EU – in fact, most polls show the population supports the bloc. But more than that, Poland is pragmatic, and it might be open to German proposals if they are accompanied by real concessions. After all, Poland derives many benefits from EU membership. Besides the economic benefits that come from being a part of the German supply chain, Poland receives much-needed investment funds from the EU. In 2016, the latest year for which full data is available, Poland received 10.6 billion euros ($13.1 billion) from the EU budget while contributing only 3.5 billion euros. Poland also values EU support against Russia, both in military and economic terms (like the Nord Stream 2 gas pipeline). Whatever Poland’s long-term interests, in the short term, Poland would like to be part of the EU if it is truly a European union. What Poland won’t tolerate is German economic colonialism masquerading as a union of Europe, a bloc in which Germany gets to set the rules and threaten to take away funds from anyone who doesn’t play the way it wants (which has been Germany’s position on Poland during the past three years). The question then becomes: Is Merkel willing to share power with Paris and Warsaw, and can she survive politically if she does? If talk of the Weimar Triangle is not accompanied by concessions that allow Poland more of a say in European decisions, this diplomatic overture will be short-lived. But if Germany is really talking about sharing power, Poland would likely be open to using its position as the largest country in Eastern Europe to bring some of the current EU renegades, like Hungary, into the fold. It may even be willing to tolerate Berlin’s self-righteous criticism of its government, as long as the criticism is rhetorical and not used to hold the Polish economy hostage. The Weimar Triangle is a seductive idea, and it has some geopolitical logic behind it. It would unite the three most important countries in the three regions of continental Europe – western, central and eastern – into a powerful force for EU reforms and political change. And if the EU is to survive, that change is badly needed. These reforms can proceed in two basic directions. Either the EU can be granted far more substantial powers, or its powers can be stripped away, ending the half-cocked experiment of European integration and preserving the all-important free trade zone. The current French proposal tries to do both, creating two tracks within the EU – one integrated into a more unified, centralized system, and another that is content with participating in the free trade zone – but no one is listening. The devil is in the details, and once you start examining the details, you begin to concur with Merkel’s pre-election sentiments: Berlin and Warsaw want different things. It’s been said that Bitcoin has no true value. Fair enough. But neither does cash—and neither does gold. In fact, nothing in this world has value beyond that which human imagination gives it. 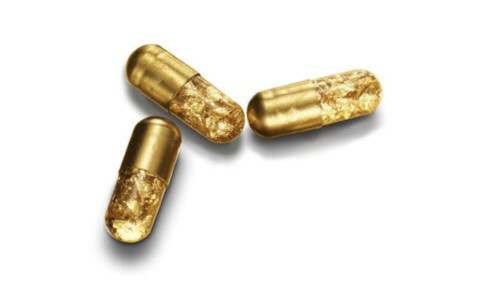 The designer gold pills that some obnoxious celebrity just swallowed have no real value, medicinal or otherwise, even though they cost $425 a piece. They’re designed simply to make what goes in, come out … gold. The imagination knows no limits. (Click to enlarge) The gold you can eat, such as the $28,000 cupcake originating from Abu Dhabi, has no real value, though slightly more than the gold pills in the form of nutrients (sugar be damned). The gold you can drink in Goldschlager, or smoke in the Dominican gold cigar, means nothing, either--not even in terms of taste. The value of the gold bullion stored away in a safe somewhere is also elusive and a product of the imagination. Value, then, does not exist beyond vanity. Human beings like gold because someone a very long time ago decided that it would be a suitable token of trade, a thing with which to barter that wouldn’t tarnish, rust or fade away. Plus, it was shiny, and that always helps. It also helped that while rare, there seemed to be enough of it to make it sought-after, but not oversupplied. Something that’s exceedingly rare wouldn’t work, nor would something too easy to come by. Gold struck the perfect balance. But since those ancient times, our obsession with gold has become something much more. Now it’s solid 24K. And that is exactly what gold is for humanity today: An almost unshakable structure that is thoroughly symbolic, as is its value. Now, not for the first time in history, the advent of a new type of currency is threatening gold’s status as the most powerful small god of our age-old barter system. True believers in gold will argue that cryptocurrencies—whether they be bitcoin, ethereum, ripple or 1,500 other variations—aren’t real. And they are right, but they’re hoping that no one realizes that gold also lacks ‘true value’. Having divined a currency through our own imaginations, the only way to place any sort of value on it was to see how many people wanted it and what they were willing to pay for it. (What one might, in the modern day, call the ‘market’). Crypto challenges the idea of ‘value’ even further by boldly claiming to exist without existing. Floating around in the cryptosphere like an intangible promise of payment—like a precious metal on a virtual reality tour—digital coins are easy targets for gold fundamentalists. These are two small gods vying for believers, because without believers they don’t exist. It’s frightening for gold, because this one small crypto god is actually hundreds of gods banning together to slap reality in the face. Gold might also argue in its own defense that it is rare, and there are limits to how much the Earth has to offer—adding to its natural allure. But Bitcoin has limits, too: They are written into the code, making the number of coins that can ever be ‘mined’ finite. And they are real. We’ve made them real. We’ve given them value, even if we can’t decide whether it should be $20,000 a coin or $8,000—or something entirely different. Volatility is the process of humans deciding whether they’re ready to convert. Make no mistake. Currency is a religion, but there’s room for more than one.